'This month marks 40 years since my first race and it is very nice to look back and remember where I started' - Jorge Martínez 'Aspar'. The Valencian town of Alzira paid tribute to four-time world champion and current team owner Jorge Martínez 'Aspar' on Sunday. 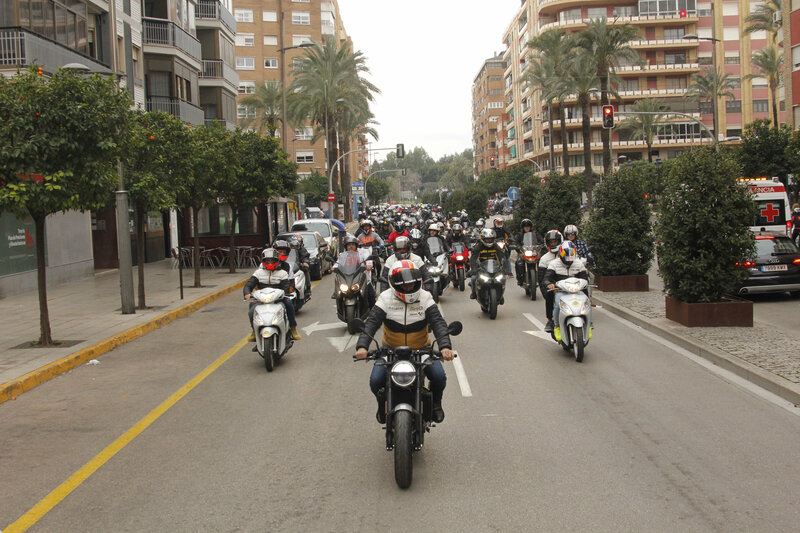 Aspar led a motorcade of more than 200 bikers - including his Moto3 and Moto2 grand prix riders Albert Arenas, Raúl Fernández, Jake Dixon and Xavi Cardelús - through the streets of his hometown. Afterwards, Aspar reviewed his 40 years in motorsport with fans and friends, surrounded by his old leathers, trophies and motorcycles. The 1986 Derbi with which Aspar won his first world title was present as well as the Aprilia 125cc bikes he ran as a team boss for Alvaro Bautista, Gabor Talmacsi, Julian Simon and Nico Terol. Aspar's Angel Nieto Team, along with its riders, also auctioned several articles to help the Association of Alzheimer's Family Members of Alzira. "This month marks 40 years since my first race and it is very nice to look back and be able to remember where I started, in towns such as Alzira, Guadassuar, Cullera or Xàtiva," Asapr said. "It's nice to see everything we've achieved, to review my career from the 1979 Bultaco Streaker to the Aprilia of 1997. But I'm definitely staying with the 1986 Derbi, with which I won my first title." Aspar also highlighted three figures who played a key part in his career; Agustín Pérez Calafat, Ricardo Tormo and Angel Nieto. "They are three of the people that I would have loved to have here with us today, because they helped me a lot in my first days," he acknowledged. 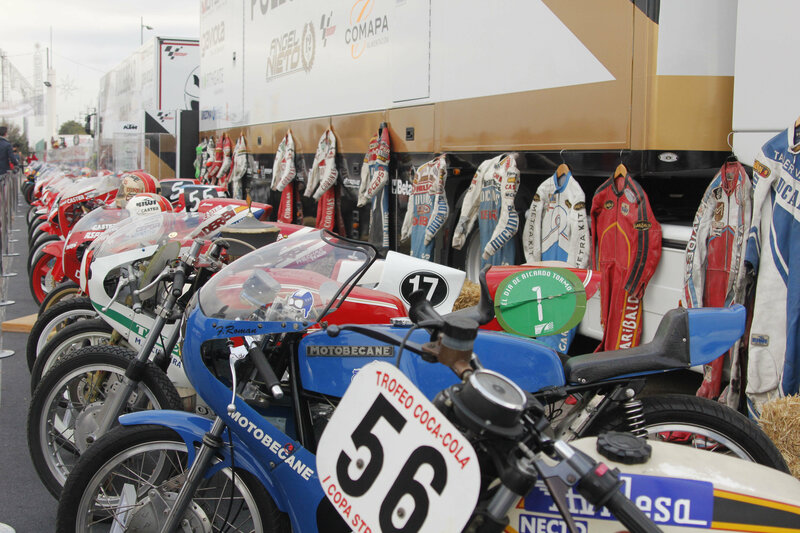 Joining him were former riders Vicente Ferrer, Vicente Martínez, Antonio Huertas and ex F1 driver and countryman Adrián Campos, who gave him the first racing bike as a present, a Bultaco Streaker with which he competed in 1979. "Jorge had a lot talent. We have both led parallel lives, but he decided on two wheels, and I decided on four. Here in Alzira everything was born", Campos recalled. Vicente Martínez, brother of Jorge, stressed that "Alzira has been one of the towns that has given more riders to Valencia, and they had a really good level", and recalled that, in the early days, Aspar stole his motorcycle when he wouldn't lend it to him. "The only good thing is that, when he returned it, it was even cleaner", Vicente added.